Well, what does make a good book launch? It’s a question I’ve thought about a lot lately. Some would say the answer is complimentary wine – they’re the people who see the word ‘refreshments’ on the invite and hope it’s not referring to a nice cup of tea. Others would say cake. I most definitely fall into the cake camp. There is no event, bookish or otherwise, that I believe can’t be improved by a hefty slice of Victoria sponge. But I had to admit my theory could be wrong when I attended an amazing book launch the other evening – where there was not a cake crumb in sight. It was a launch by award-winning Irish writer, Jane Mitchell, hosted at the Irish Writers’ Centre, an atmospheric and historic town house in the heart of Dublin. I was excited to find details of the event on-line, and delighted that it was open to all. I’d been disappointed that I was missing the book launch of Jan Newton for her novel, ‘Remember No More’, while I was away in Ireland. But if I couldn’t support a fellow Honno author on her launch night, then I could support an Irish writer. I saw from Facebook that Jan’s night had gone well and, as it turned out, there were plenty of people supporting Jane’s book too. 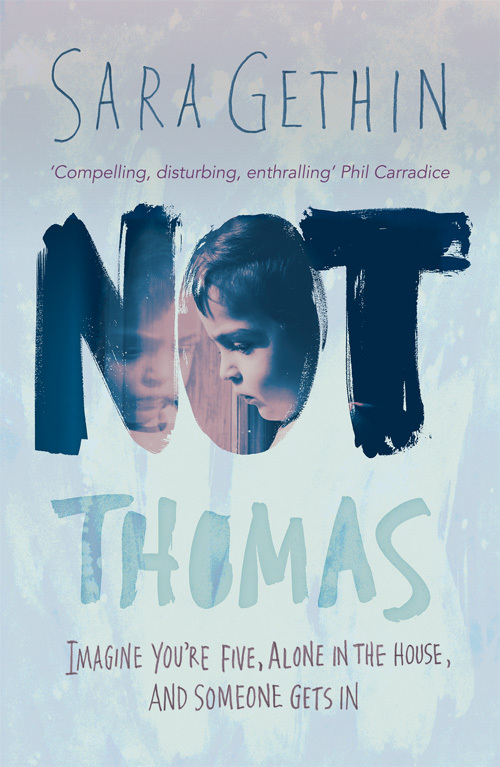 My thoughts have been turning (and returning) to launches recently as I’m planning to hold my own for ‘Not Thomas’ in a couple of months. And while I’ve been planning the event, I’ve occasionally had the scandalous thought that maybe I don’t need a launch at all. Perhaps I can smuggle my new book out into the world without having to stand up and talk in front of people? Cowardly, I know, and pointless too. Surely the whole aim is to get as many readers as possible to notice a new offering. So I give myself a shake and remind myself that the answer to the question ‘to launch or not to launch?’ is a resounding ‘to launch’. And I have launched books before. This, however, will be my first for a novel intended for adults. In the past, when my children’s books have been published, I’ve gone along to the lovely primary school in Kidwelly, the one where I taught and where my children were pupils, and I’ve celebrated the day with them. The local paper usually covers the event and the children always provide plenty of enthusiasm. And the best thing, of course, is that I never need worry no one will turn up. There’s a captive audience – guaranteed. My next book launch will be different, though. I won’t be skipping around in a comedy hat (thank goodness I’m spared that in front of other adults!). But I won’t have a captive audience either. It’s the kind of thought that keeps me awake at night. So it was refreshing to hear Jane Mitchell, when she took to the podium at her packed Dublin launch, admit she’d been worried that no one would turn up. Even very experienced authors like her have their doubts and I, for one, appreciated her honesty. But there was never any real doubt her launch would be well supported. She has written a breath-taking book and it’s already had wonderful reviews. ‘A Dangerous Crossing’ is the story of a thirteen-year-old boy fleeing from the war in Syria. It’s extremely well researched fiction that paints a true picture of the dangers child refugees face. And it is beautifully written. The subject and style make it very difficult to put down, and while it’s described as a children’s novel, it’s a wonderful read for adults too. I’ve almost reached the end of my signed copy and I can’t recommend it highly enough. I love hearing publishers talk about why they publish the books they do and it was interesting to hear Jane’s publisher explain how ‘A Dangerous Crossing’ came about. Little Island is a small, Irish-based press that’s interested in publishing books that give children a world view. They felt there was a need for a book for children about child refugees, so they approached Jane, who they knew from her award-winning fiction for older children and young adults. She was instantly drawn to the idea of writing a story of a child refugee and didn’t hesitate in accepting the commission. Interesting, too, was the way editor, Siobhan Parkinson, described working with the author. Jane, she said, was professional, dependable, always met deadlines and took on board constructive criticism with good grace. I was busy making mental notes. It’s pretty obvious, I know, but sometimes it’s easy to forget the basics, and here was an experienced editor reminding everyone of good practice. While the author and editor were both very engaging speakers, the highlight of the evening was definitely their guest speaker. As ‘A Dangerous Crossing’ was going to press, Little Island approached Amnesty International to ask if they might be interested in reading the novel. They were. Not only did they read it but they were more than happy to endorse it too. They also gave the publisher permission to use Amnesty’s logo on the book’s cover. And at the launch, the Executive Director of the Irish branch of Amnesty, Colm O’Gorman, gave a heartfelt speech. His description of the refugee camps he’s visited and the terrifying journeys Syrians – often lone children – are forced to make to find safety was heart-breaking. And so was his view of how little we in more privileged countries are doing to help. All in all, it was a remarkable book launch for a remarkable book. And yes, as well as the amazing speakers, the fantastic venue and a supportive crowd, there was also complimentary wine – quite a lot of it too (well, it was Dublin during St Patrick’s week). And perhaps that’s everything you need for a great book launch. Perhaps that’s enough. Maybe… whisper it… just maybe you don’t need cake after all. p.s. you might be interested in my next post which I’ll publish either tomorrow or Friday. it’s about fear of public speaking, and what I plan to do about it since I’m petrified. As for the rest – a launch is the best way to get your book noticed in those crucial first weeks. I understand 100% about the fear (& the worry that few people will turn up.) Enough will. And the closer to home you launch your book, the bigger the audience – not everyone can travel. Over the past year I’ve gradually got to grips with my public persona phobia. I never thought I would – genuinely. I have all sorts of silly issues around being ‘out there’ but slowly, slowly, one event at a time, it’s getting easier. It would be great if you could, Dyane! And you’d be in competition with me for the cake! !